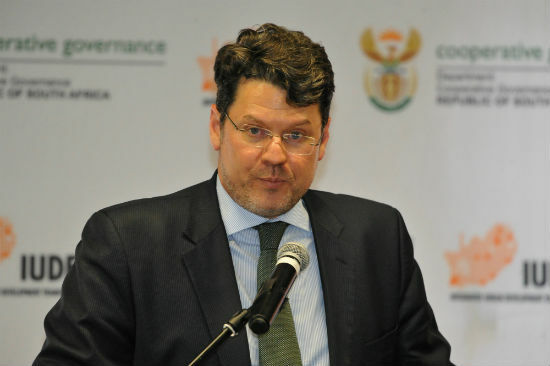 Deputy Minister for Cooperative Governance and Traditional Affairs (CoGTA), Mr Andries Nel will deliver a keynote lecture at the 3rd annual Mistra Urban Futures Conference, being held this year by the Cape Town platform, which is based at the African Centre for Cities at the University of Cape Town on 06 – 07 November 2018. Deputy Minister for Cooperative Governance and Traditional Affairs (CoGTA), Mr Andries Nel will deliver a keynote lecture at the 3rd annual Mistra Urban Futures Conference on 6 November. This year’s conference is being hosted by the Cape Town platform, which is based at the African Centre for Cities at the University of Cape Town on 06 – 07 November 2018. The conference theme is – Realising Just Cities: Comparative Co-production, which reflects that one of the key activities of the Mistra Urban Futures network over the past year has been the consolidation of our international comparative research projects on just and sustainable urban development. The Mistra Urban Futures network established in 2010, is a global network of partners involved in the co-production of knowledge for the realisation of more just and sustainable cities. Most of the conference participants will be from the various Mistra Urban Futures platforms and projects worldwide, and from the Cape Town platform’s partners in the City of Cape Town, Western Cape Provincial Government, and other interested institutions and individuals. Deputy Minister Nel will touch on the implementation of South Africa’s Integrated Urban Development Framework (IUDF) within the context of the key global issues related to sustainable urban development. – Venue: Sun Square Hotel, 23 Buitengracht Street, central Cape Town.